Website Administration and Site Maintenance in Scotland. 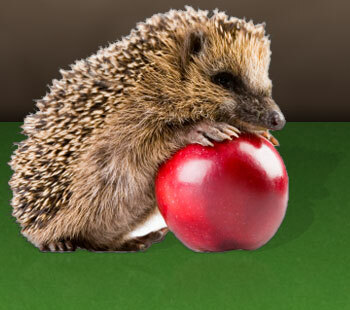 Hedgehog Creations offers delivers high quality website administration and site maintenance services in Scotland. With over 23 years of experience our expertise in web administration, site development, search engine optimisation and strategic advice has been brought together in a unique website maintenance plan. The perfect solution if you want to outsource your website maintenance, administration and content management and keep your website up-to-date at all times. We fulfil your needs and demands for a high quality website that reaches its' full potential and allows you to to expand your business. Our main goal is to have satisfied customers and enjoy our work, not our profitability. We listen to our clients and offer bespoke maintenance services at affordable rates. *Additional plans are available on request. We provide our website administration and site maintenance services in Central Scotland in the areas: Clackmannanshire, Perth & Kinross (Perthshire), Stirling and Fife. Keeping your website up-to-date, refreshed and maintained is one of our key services. We offer several website maintenance subscriptions meeting your requirements as well as the size of your budget. Additional plans are available on request. Our Website Maintenance Service Level Agreement provides a guarantee on the reliability, quality and performance of our work. It describes the length of the contract, the content of the works, the monthly charges and the level of support. We pride ourselves to have excellent all-round skills in site administration, web design, development, programming, search engine optimisation and website strategy planning. With all these qualities combined you are assured of getting the best value money can buy in Scotland. For most businesses outsourcing website maintenance in Scotland is the most cost effective to keep their website maintained and up-to-date. We're highly experienced and have great expertise. Many businesses are outsourcing their website maintenance to dedicated and professional site administrators and webmasters. In some cases their web presence is minimal and hiring someone full time to maintain their site is neither economical nor efficient. Other companies choose to leave website administration to professionals and focus on their core business. Our website administration and maintenance plans are very cost effective. At Hedgehog Creations we have Maintenance Contracts that consist of a prepaid service fee and paid monthly during a one year contract. We also offer a Pay-as-you-go plan in which the hourly rate is reduced from normal rates. You are paying us close to what you would pay an in house staff member, which makes the arrangement attractive and cost effective. As trained administrators and webmasters we're able to update your website quickly and accurately. We are confident that all of our clients would recommend our maintenance service in Scotland. Using your Content Management System, our bespoke CMS or no CMS at all, we are trained, experienced and profesional and can keep your website up-to-date and highly ranked in the Search Engines. A robust Content Management System offers many advantages over manual maintenance. A CMS provides a more reliable way of maintaining basic textual changes yourself, whilst also providing effective features to expand your website. Most Systems offer features like an embedded Search Engine, Search Engine Optimisation and Link management. Most of our clients outsource their website maintenance and administration with us and have frequent update requests. With our bespoke ColdFusion Content Management System (CMS) we can carry out the work within an agreed deadline. It also enables us to expand your website and meet your business requirements more easily if required. Even without the comfort of a Content Management Sytem (CMS) we can offer our website maintenance and administration services. We support many clients that do not have a CMS and we are skilled in maintaining websites in the following languages: xHTML, CSS, PHP, ASP and ColdFusion. Looking for a reliable agency that keeps your website up-to-date? CALL 01259 781 627 and order your package! Hedgehog Creations - Website Administration, Maintenance in Central Scotland: Perth & Kinross (Perthshire), Clackmannanshire, Stirling, and Fife.